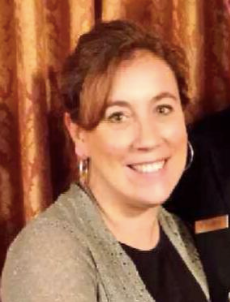 Diane O'Connor purchased Dunn Bros in 2014 with the intention to create an artisan coffee experience. With the help of her staff, they've created a coffee shop with some serious appeal! 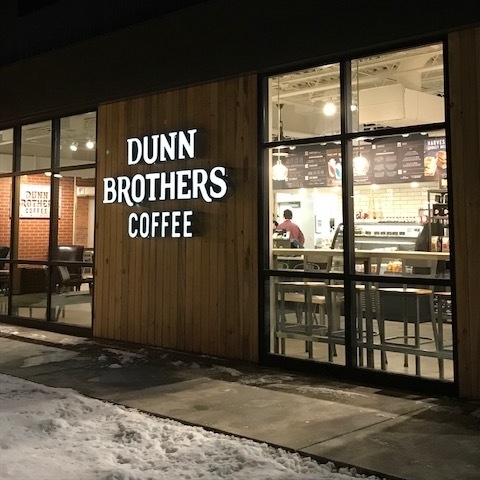 Dunn Brothers has the friendliest baristas in town, and with fresh roasted beans, you're guaranteed to renew love for your go to drink, or find a new favorite! Be sure to get in touch with Diane & grab some coffee while you're at it! Dunn Brothers Coffee's focus is fresh coffee and good food. We small batch roast each day to ensure our guests are receiving the freshest coffee possible. My background is in business management/accounting/operations management, and I love coffee so when this opportunity became available it was a natural fit. Full service coffee bar,teas, smoothies, made to order breakfast sandwiches & omelets, fresh baked pastries, lunch sandwiches, salad & wraps. I love the OWN, as that's where I find these other amazing women to surround myself with. They're all amazing and truly making the world a better place. In this season of your life, how could "enough" serve you? In what ways could you come alongside it, befriend it, and learn from it? Maybe it's to realize what you already have. Maybe it's declaring that you're at your limit and need to slow down. Maybe it's both. Over the years, I've watched women come together who barely know each other, share their journeys, and build one another up with care and kindness. I've seen women in competing industries share their secrets with one another, for no good reason. I've witnessed these women in The OWN be better at community than anything I've ever experienced in another setting. Women amaze me every day with their tenacity, their strength, their intelligence, their softness, their openness, and their cunningness. We are a culture of people who don’t know how to rest. We know how to go, keep going, and continue to go on fumes. We know how to push through, which is a great quality in it's season, but you can't push through if you've never learned to rest. I learned that “this moment” is what I have. I learned that hurry is a poor substitute for peace. I learned that some things are better left undone. I learned that I have a team that not only is capable of helping me, but that they seem to want to help me, and that I need to allow help to happen to me. I learned that a little grace, a lot of connection, and a certain amount of stillness is good for the soul. I am still learning how much stillness is required of me for my heart to rest, and that’s not an easy lesson for a busybody like me to answer. Perhaps check back in 2019. The OWN was founded as a “rubber meets the road” kind of company. We didn’t want to just talk about the problems female entrepreneurs were facing; we wanted to do something about it. In business, having this kind of sisterhood can literally mean you keep going when you want to quit. It can give you the space to have the honest conversations to figure out what is and isn't working. It can be the push when you needed to move, or the gentle reminder that you need to slow down. As this is a "women only" 3 day event, we'll have the time and safe place needed to explore issues that matter to us. As an event catered towards business women, we'll dive into topics that emotionally drain business owners the most frequently. Business: The Best of Times, The Worst of Times. So if you’ve decided to become a modern day cowboy and start your own small business, consider getting connected to a group of people who get it…. really get it! We’re excited for your adventure, and hope to hear from you soon! The OWN exists for many reasons, first and foremost to support female entrepreneurialism. We were founded on the belief that women can accomplish amazing things with a few helpful tools. Our company is now fortunate enough to witness this reality on a daily basis. The OWN also exists as a personal passion to see women come together to change the social landscape of how we culturally view females. We want to see women liberated from objectification in the media, which can hinder women's personal and professional growth. We want to see young girls with a natural tendency of leadership nurtured instead of stifled due to antiquated gender roles. We want to watch the number of women-owned businesses grow as a result of empowerment and education. We want gender equality to be tangible, rather than just topical. We want to celebrate the differences in men and women without calling one superior, for the betterment of our youths' emotional and social development. Essentially, we want to watch our culture stop putting women and men in boxes altogether, and we hope to be a small (or large) part of that. Women and businesses that are involved with The OWN aren't companies that can't do it alone. They're companies that want to be a part of an amazing network, and benefit from the freedom of connection. If you're interested in the same, please feel free to get in touch with us. The OWN isn't always a fit for everyone, but we all benefit from making a new friend or two! coffee is always better with a friend... and sugar.